TouchPad for iOS has built up a reputation for being one of the smoothest remote keyboard and Trackpad apps to do it, with functionality and features second to none. Many remote control apps require you to download some form of third-party installer for your desktop, but since TouchPad is dependent solely on OS X’s native Screen Sharing technology, you won’t find yourself in the familiar predicament of trying (often unsuccessfully) to get two apps to connect with each other. TouchPad has just been handed a fairly major update by developer Edovia, bringing Siri integration for those fortunate iPhone 4S users amongst you. 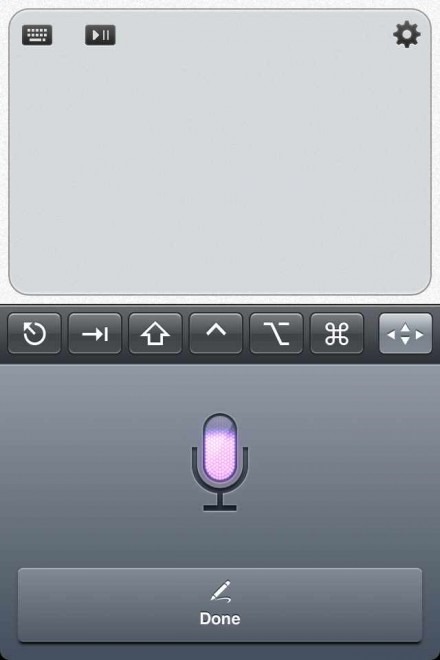 Providing your iPhone 4S and Mac share a Wi-Fi network in common, you can now use TouchPad to send voice notes from your device which Siri will, as she does with aplomb, convert into text understandable to the Mac. At last, TouchPad 4.0 is out with even more Lion Love! This version took more time than planned and most of the work was made deep down in the app, mostly in preparation of Screens 2.0, which uses the same VNC framework we’ve developed for the past years and had to be revamped. The result is a super solid app that won’t give up! Some features, such as the dragging gesture, were changed so we recommend you take a look at the revamped help documentation, bundled in the app. However, there’s still many new features. Of the App Store’s rather incredible 500,000+ applications, although some are good and some are bad – as you would expect, some are just lacking a little TLC. It’s refreshing to see Edovia, (who aren’t the only outfit to work tirelessly on app improvements) still consider the customer experience after the money has been banked. Developers of neglected apps should certainly heed the example set by Edovia. As has been the case throughout the TouchPad release cycle, this version runs very smoothly, and as well as the Siri integration, the update freshens the interface of the modifier toolbar on the iPad version and adds support for the EyeTV media player, as well as the usual array of bug fixes. 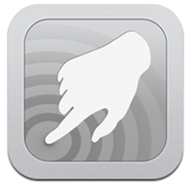 You can download TouchPad 4.0 from Apple’s App Store via this link. It costs $4.99, and compared to many other apps we feature, the price may seem a touch on the high side. That said, the quality of the app is also higher than average, rendering it well worth the money. Check out our iPhone Apps Gallery and iPad Apps Gallery to explore more apps for your iPhone, iPad and iPod touch.